The word hydrangea come from the Greek ?hydra? meaning water and ?angeoa? meaning vessel which refers to this plant's thirst for water and the shape of its seed pod. In this series of articles I?ll discuss the plant's characteristics, fertilization, site location, planting, pruning, winter protection in the colder climes. I?ll also cover the different types and how to adjust your soil pH to suit this group of plants. I’ve been growing hydrangeas for several years; it’s been a constant learning experience, I have several species and cultivars and each is unique in their own special way. The ideal location will have morning sun and afternoon shade. In USDA zone 6 and lower you can get away with a little more sun than in warmer regions. Hydrangeas will not thrive in heavy shade. If grass won’t grow in a particular area because of shade hydrangeas won’t either. 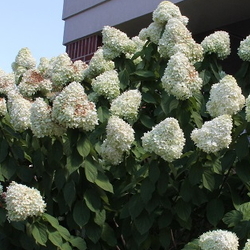 If you have a spot in mind that has full sun you can use a Pee Gee (Hydrangea paniculata 'Grandiflora') hydrangea. It will tolerate full sun as long as it gets plenty of water. 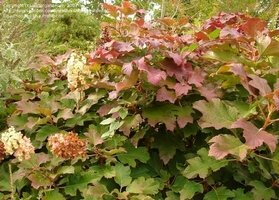 Oak leaf hydrangeas (Hydrangea quercifolla) will also grow in full sun, but the blooms will fade a lot quicker than if it has some afternoon shade. After you have decided on a site the first step is to take a soil sample from that location and get it tested. Hydrangeas are acid-loving plants and do best with a pH in the 5.0-5.5 range. This pH range will give you blue flowers; if you desire pink flowers you will need to increase the pH up to the 6.0-6.5 range. The soil test will give you a benchmark and you can adjust from there. When the soil amending is complete, dig a planting hole twice as large as the pot your plant is in. Sprinkle a handful of bone meal or super phosphate into the hole. This will encourage root growth. Mix up a batch of compost or other organic material in a wheel barrow with the soil you removed from the planting hole to a 1:1 ratio. 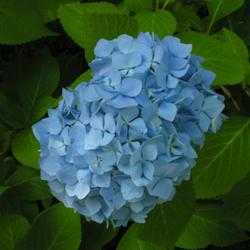 Plant the hydrangea and backfill with your mix and water in well. Mulch to a depth of 2 to 3 inches with organic mulch. This will conserve moisture and deter weeds. 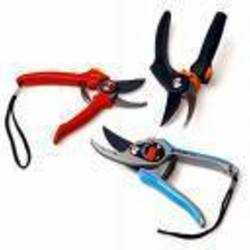 Now comes the most important part of growing hydrangeas successfully. WATER-WATER-WATER. You should water daily for the first 3 to 4 weeks after planting. After that do not allow the soil to dry out, water as needed. Be especially watchful during hot periods. 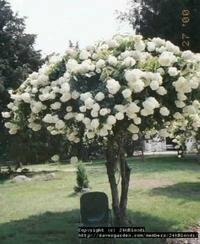 In the warmer areas (USDA zone 7 and higher) this plant does best when fertilized twice a year. 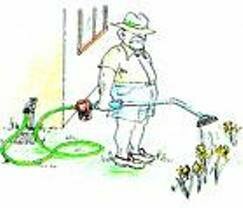 Apply a balanced fertilizer in May and July. In cooler areas (USDA zone 6 and lower) apply fertilizer in June. I like to use Wondergro this is a 13-13-13 with sulfur. I use this product on all my acid loving plants. A good top dressing of compost 2 or 3 times a season will also help your plant stay healthy. Stay tuned for the next installment on hydrangeas: I’ll discuss the different types and pruning.